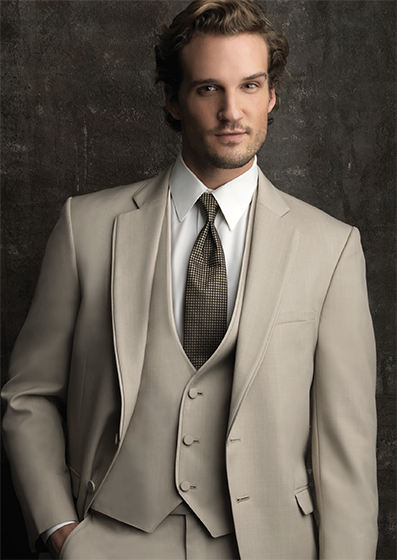 Tan is the hot neutral today, a perfect complement to nearly every jewel-tone and pastel shade. This gorgeous 3-piece ensemble, designed by Jean Yves for Allure Bridal, features a Slim Fit 2-button framed notch lapel jacket, with self trim and flap pockets, and matching trousers and vest. The Super 100s wool blend provides comfort and superior drape.